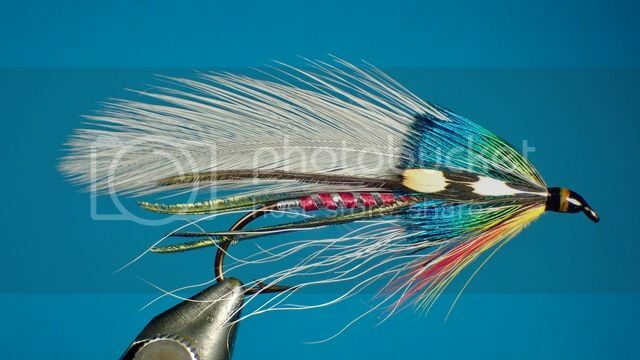 Well, it’s a wet fly, it’s winged, and it’s a Carrie Stevens pattern so I thought I’d share it. Ahoy, matey! Very nicely done, right down to the banded head. Very nice, it should be on the label of a bottle of Rum. Beautifully done, John. I too, have a love of these style streamers. My Dad used to use these in the spring, trolling some of the Adirondack ponds for large brook trout and landlocked salmon. Absolutely gorgeous Johnno! It's beauty lies in every detail....which you have pursued to the uppermost boundaries! I can imagine this beauty hanging in the scissors of a great trout! Nice work John - truly usable art! What make/model is that creamy pinkish wing feather? ?